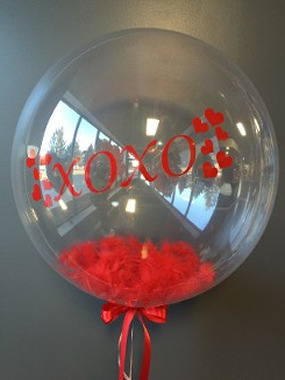 Our Team Loves to be creative as you can see from our pictures. 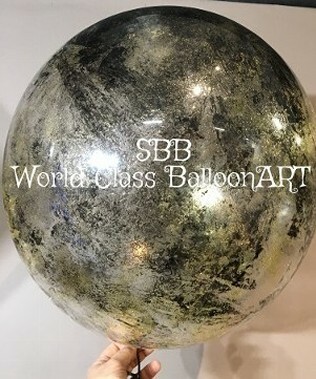 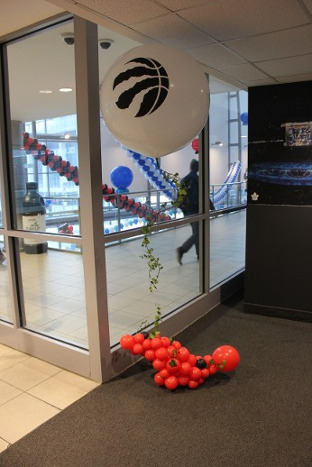 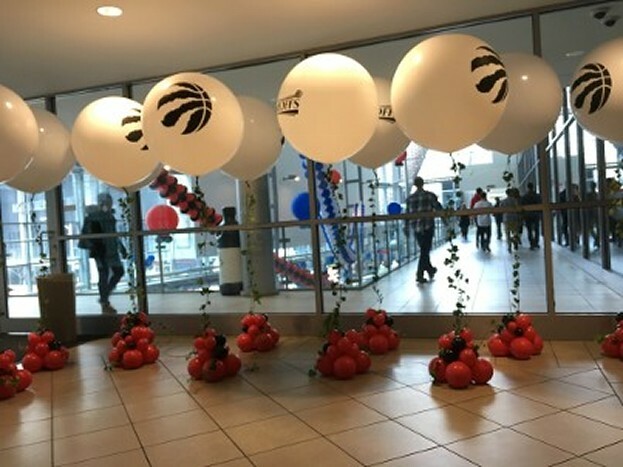 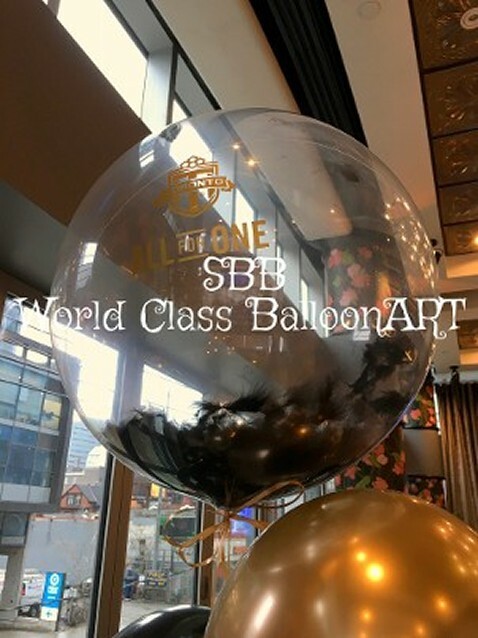 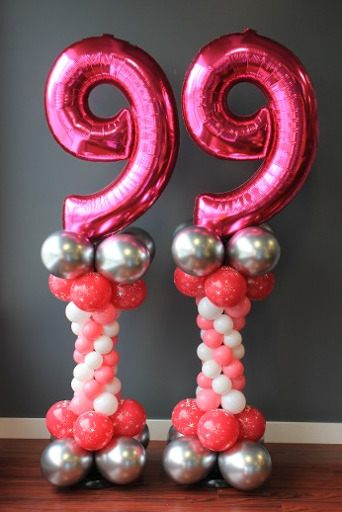 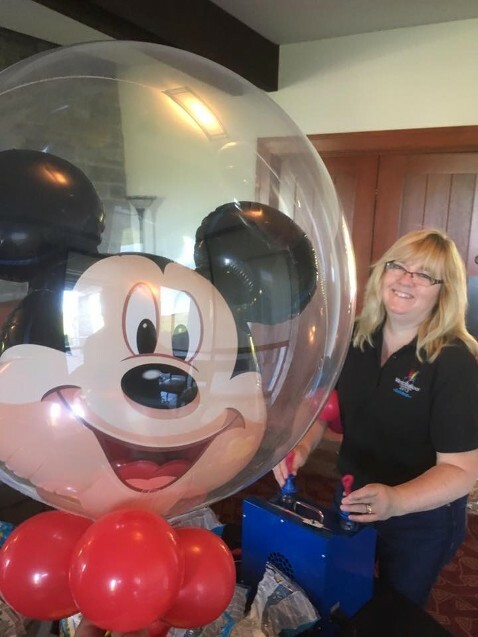 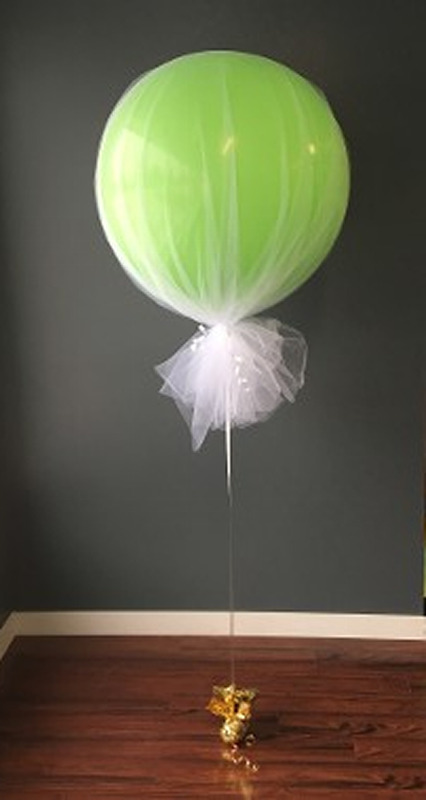 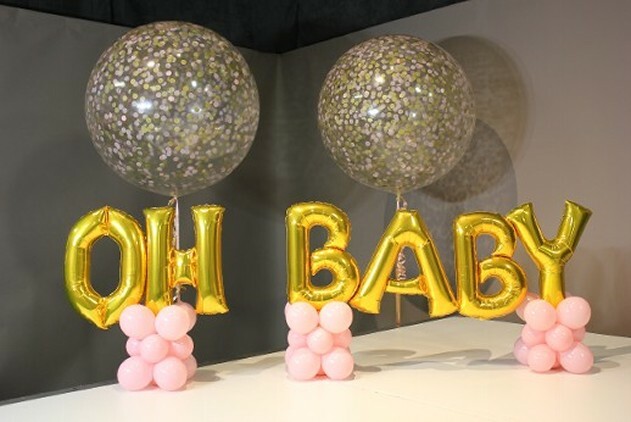 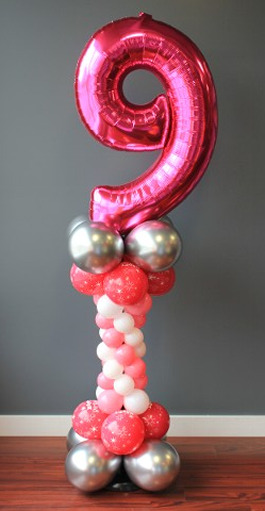 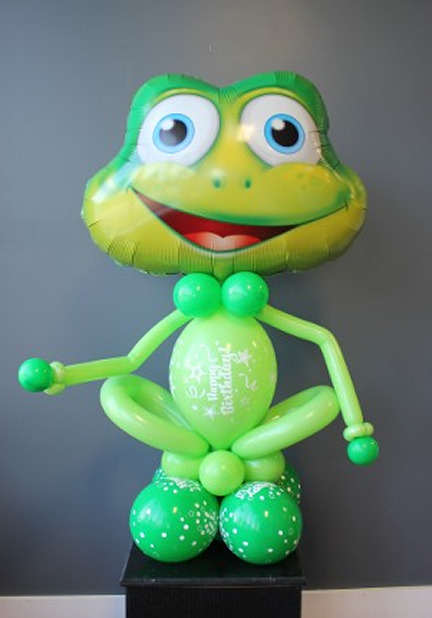 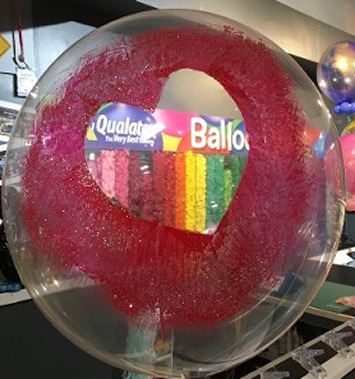 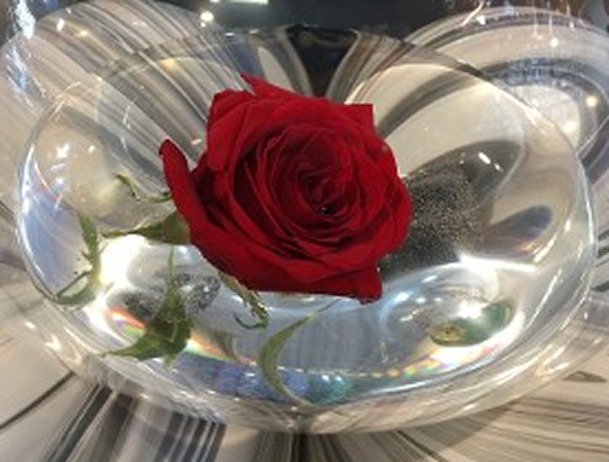 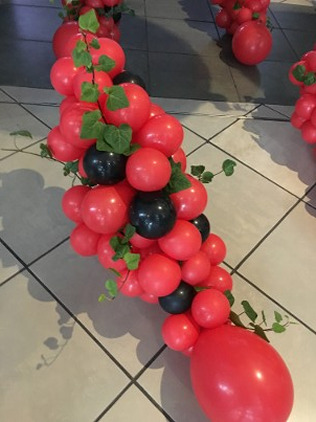 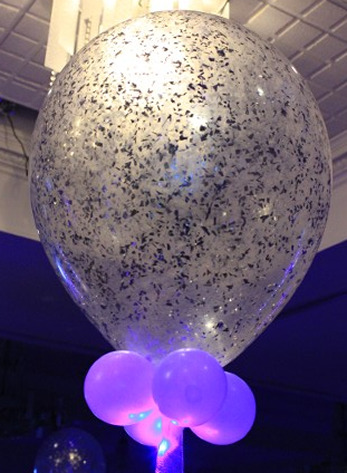 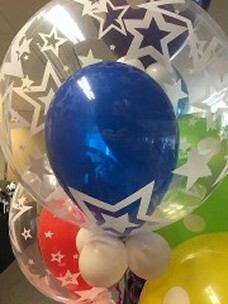 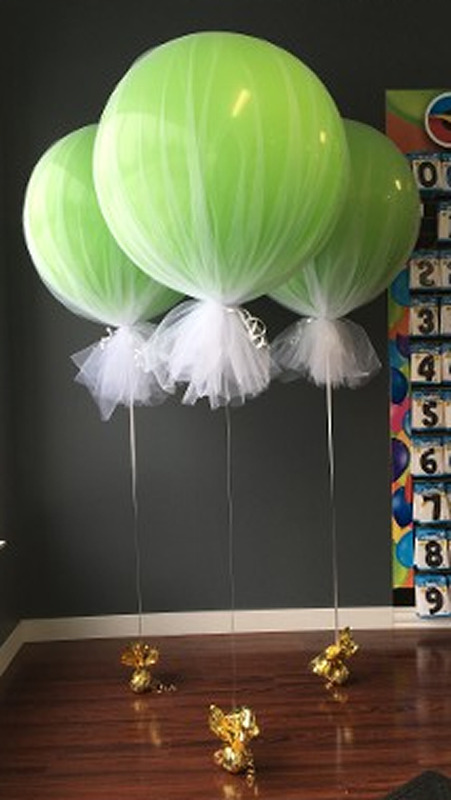 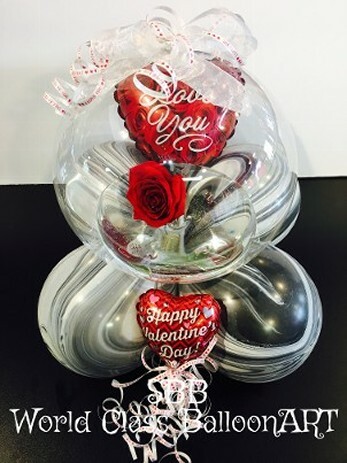 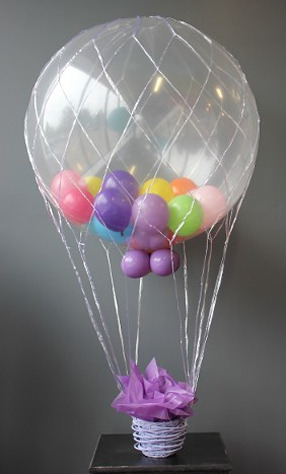 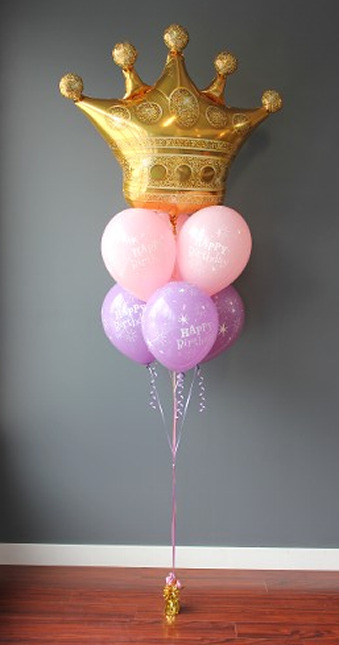 Custom Painted Bubbles on the inside and/ or the outside of the Balloon - having Feathers inside and using them as the ribbon - What about Fresh Flowers floating in WATER inside as we show with the RED ROSE Centerpice.... 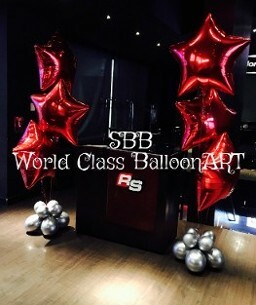 IT's CRAZY what we can do for you!!! 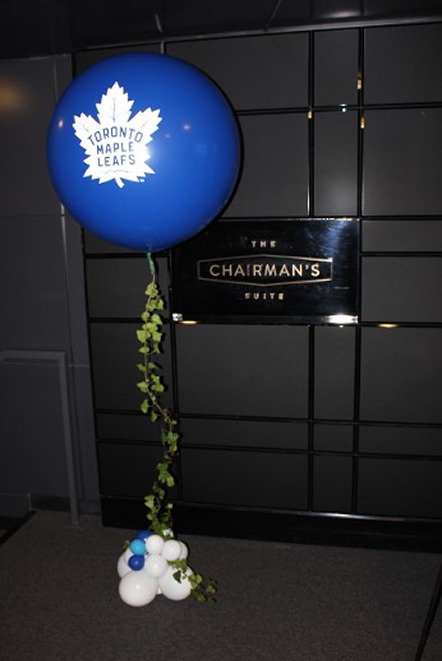 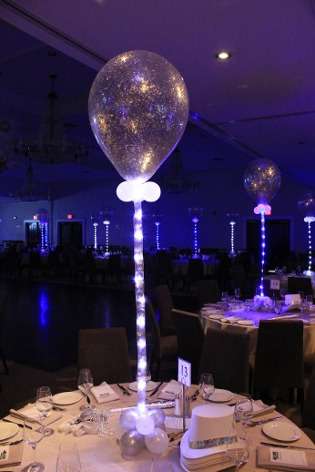 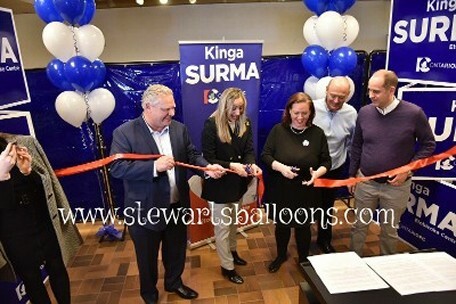 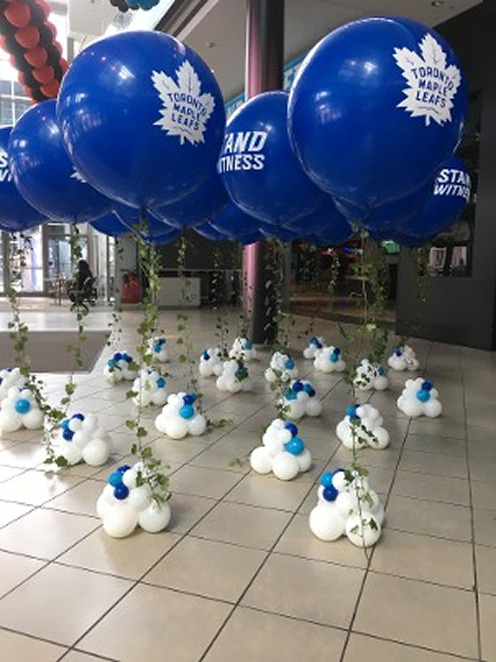 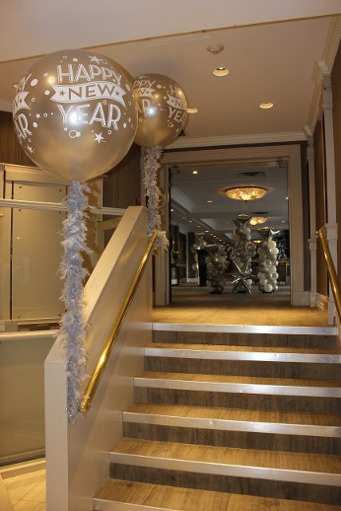 For the the past 28 years we have be decorating the Toronto and GTA marketplace we are waiting for your call right now (416) 806-7933.